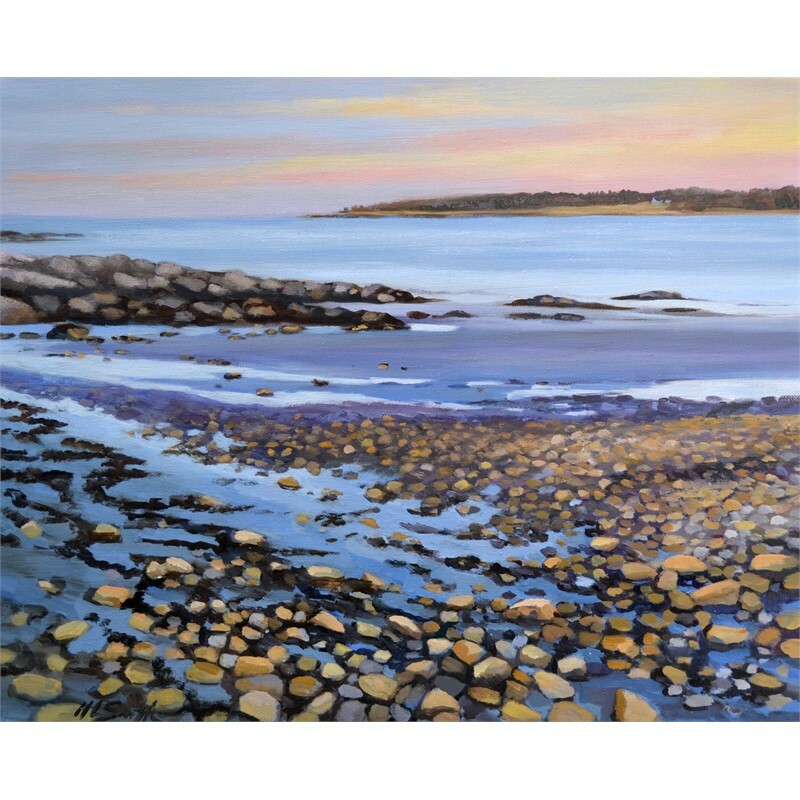 As a Maine native, Holly has always found inspiration in the ever–changing beauty and moods of her surroundings. 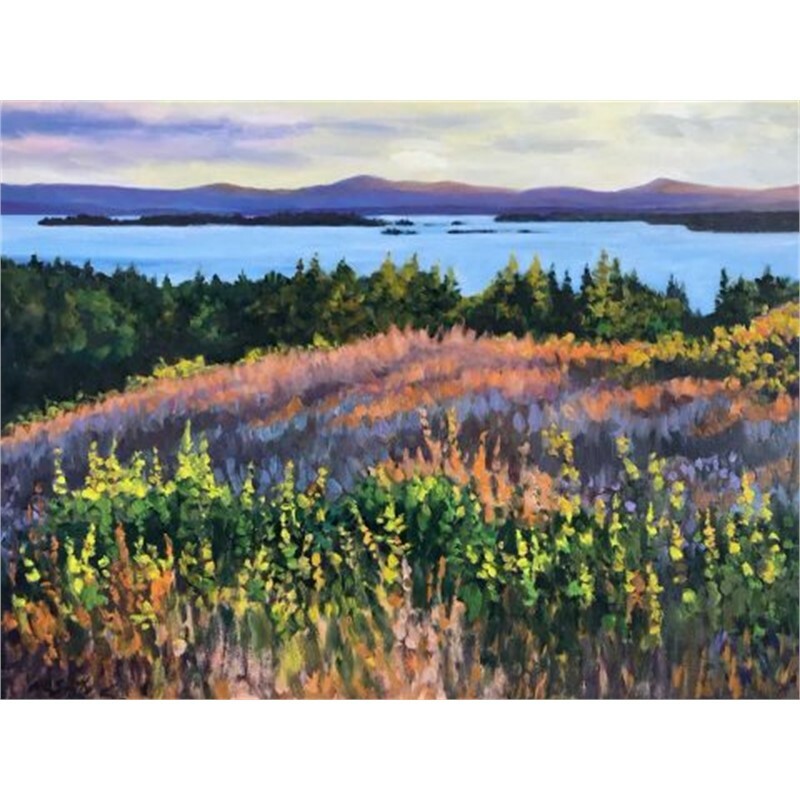 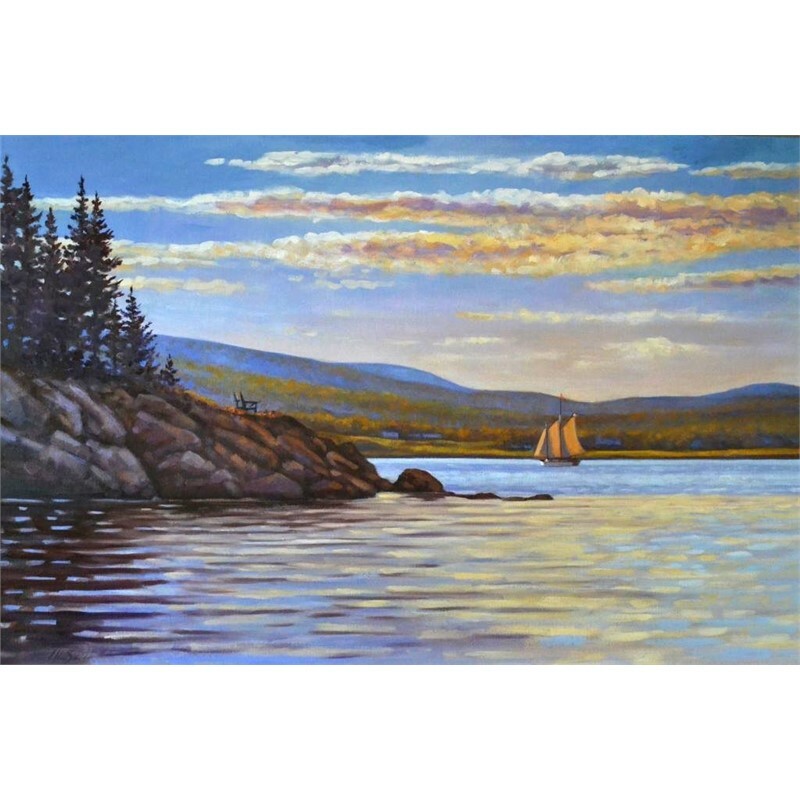 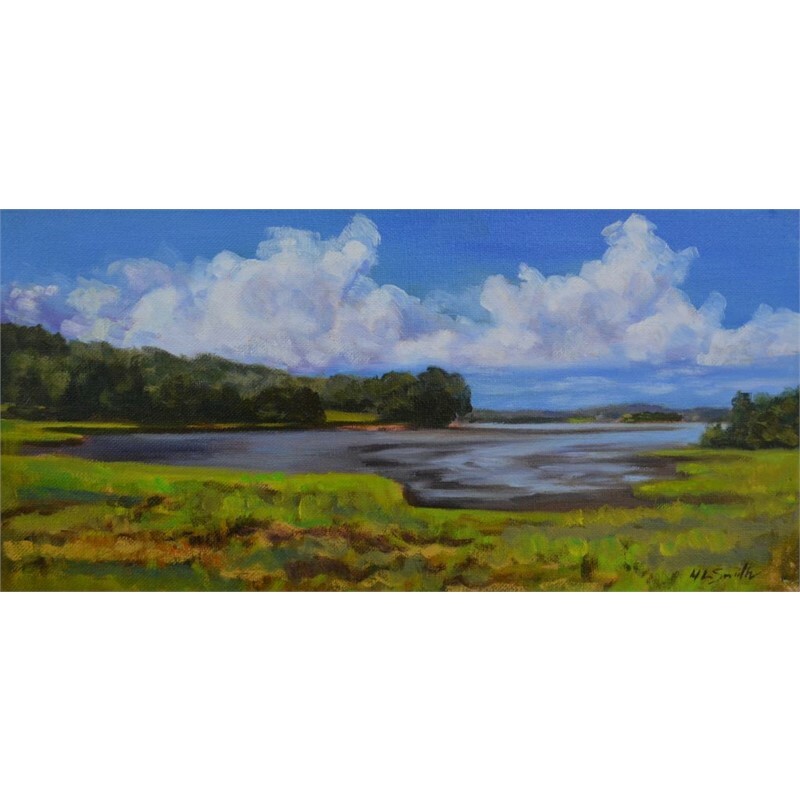 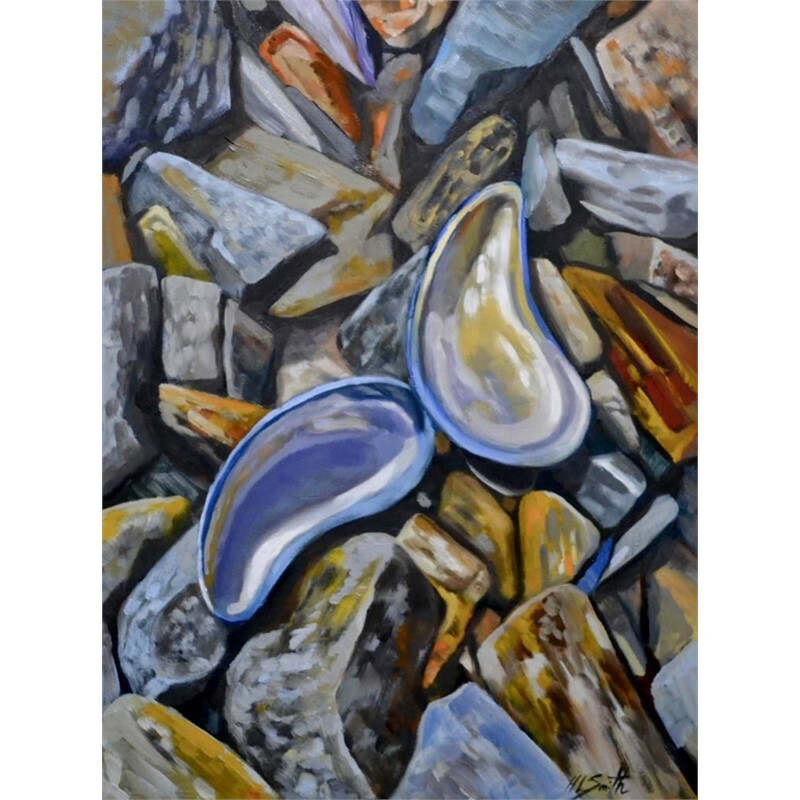 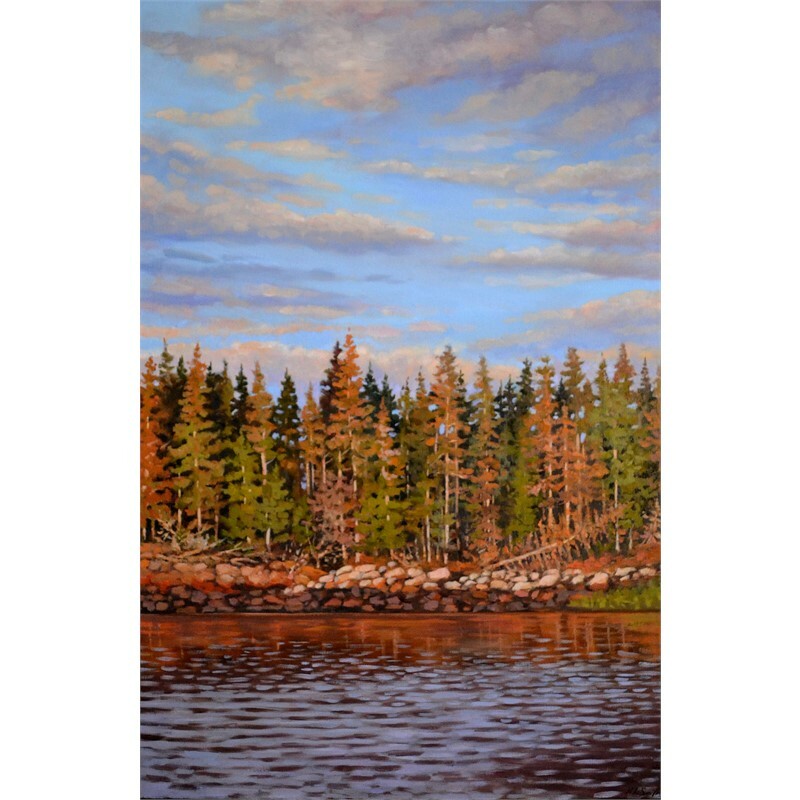 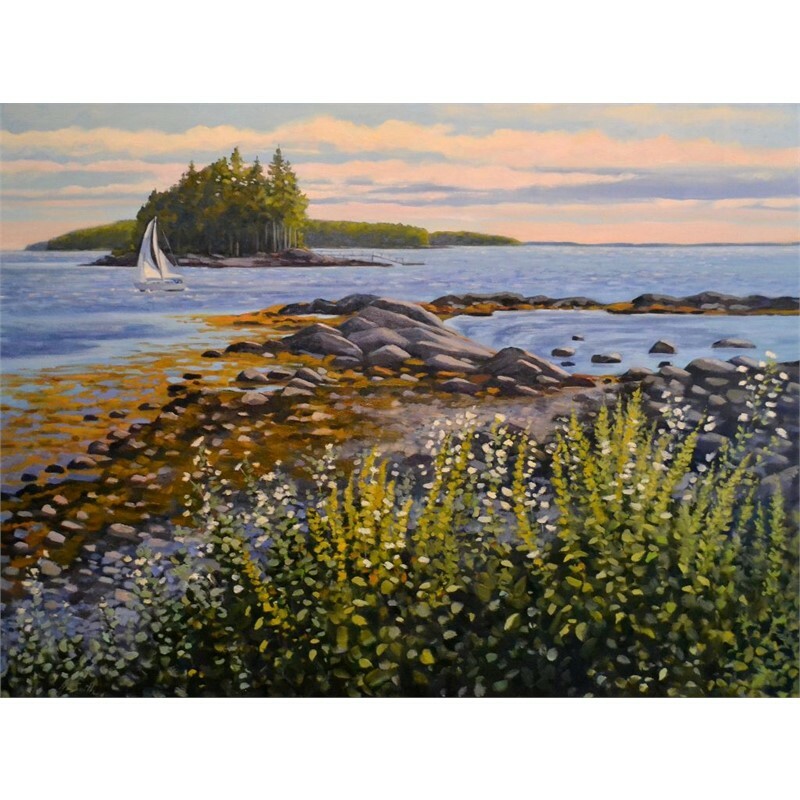 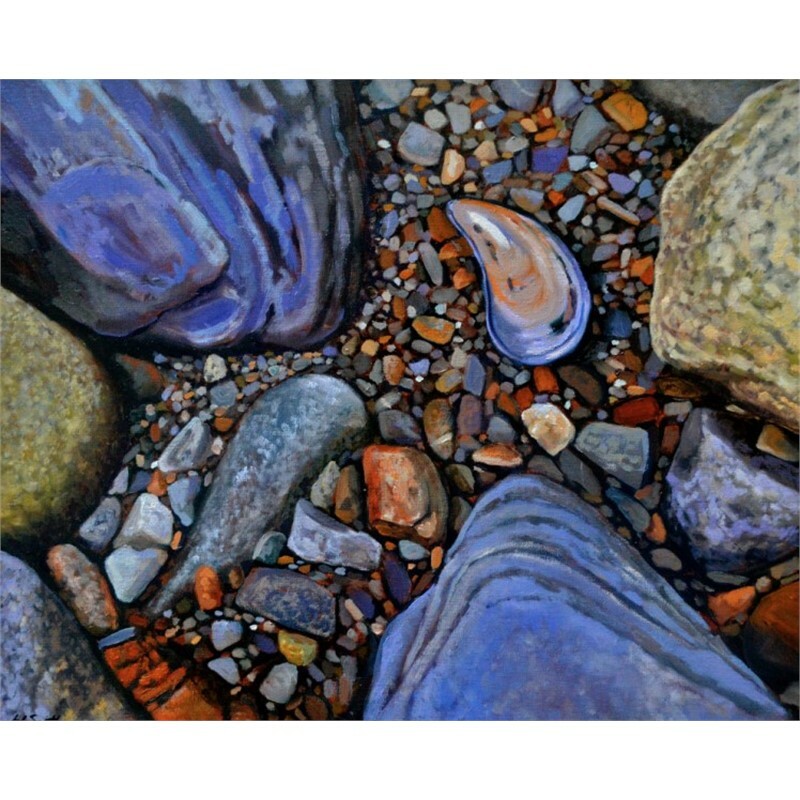 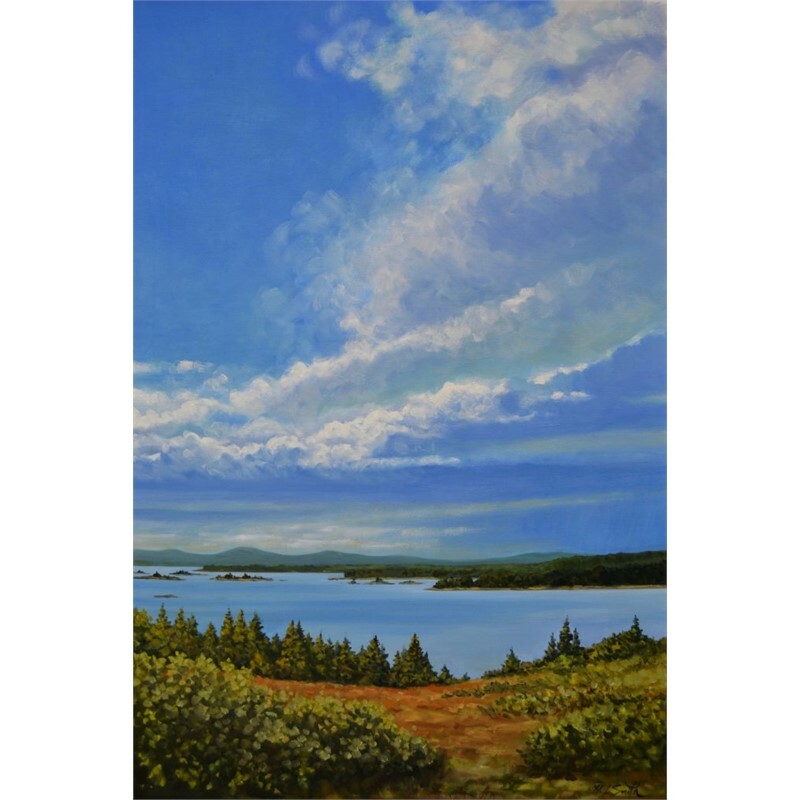 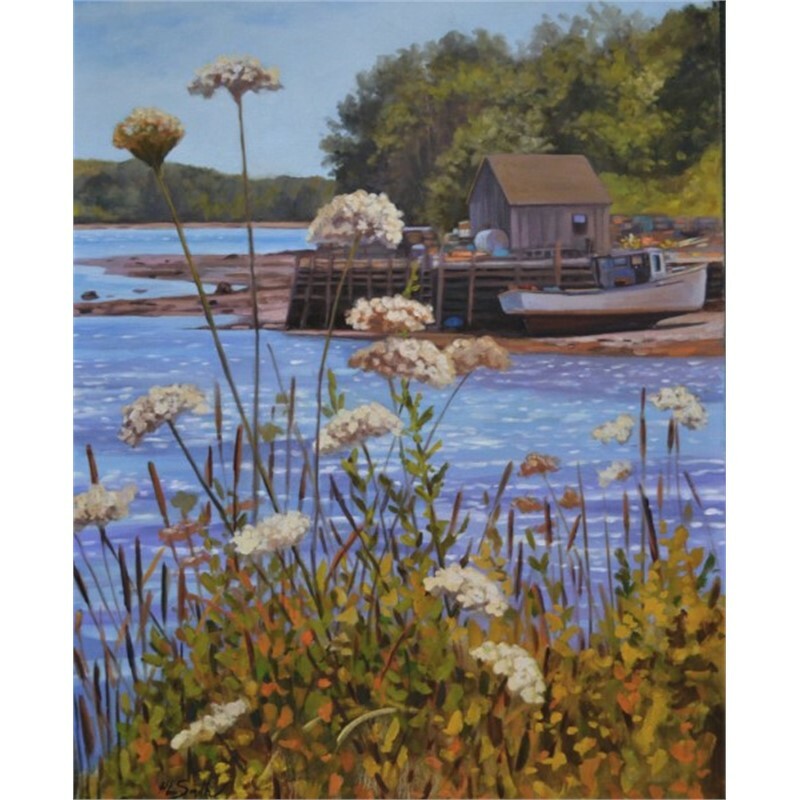 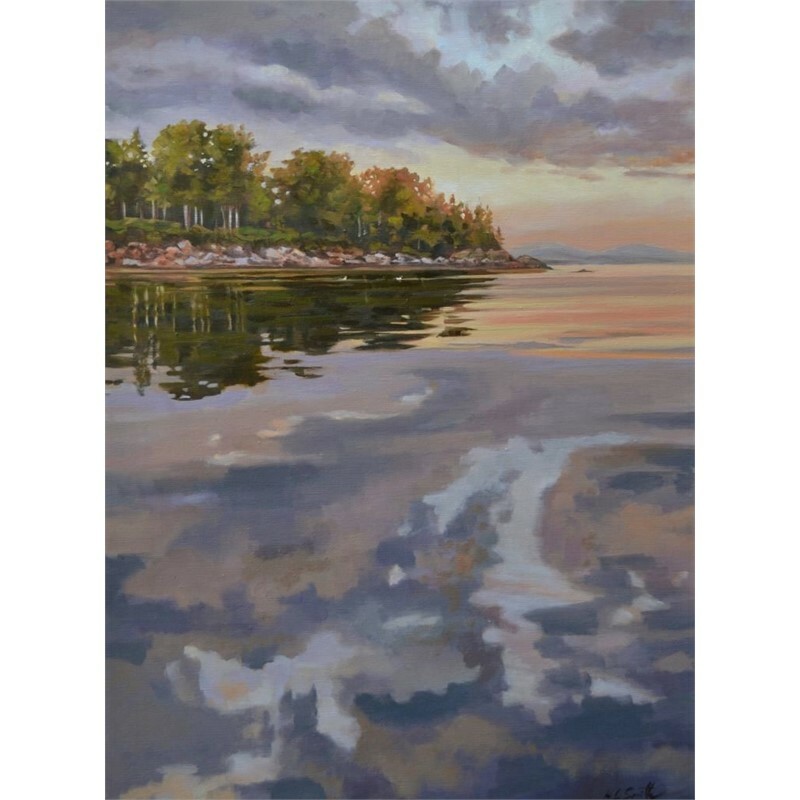 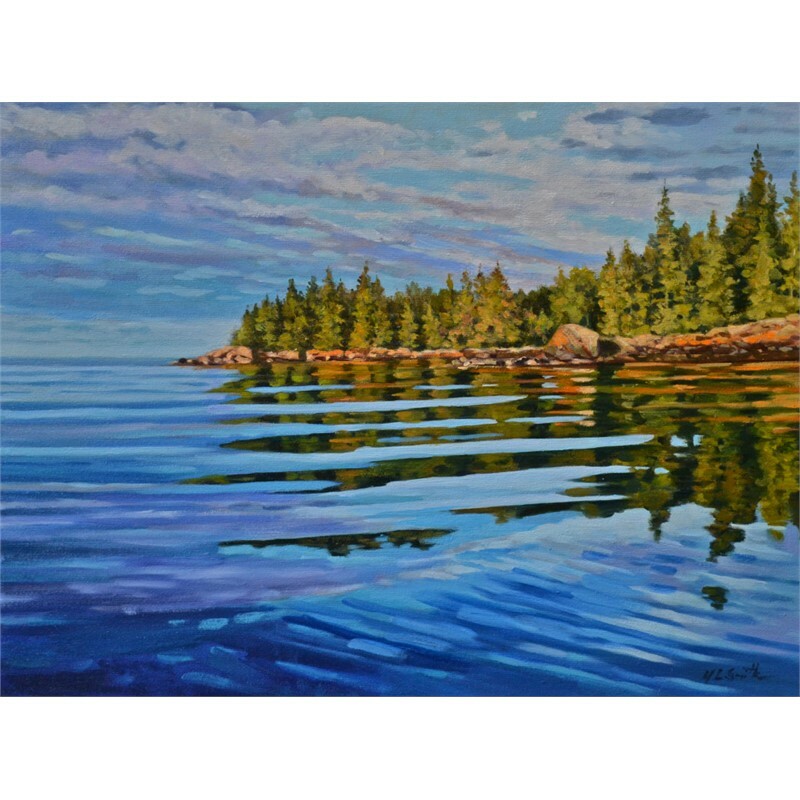 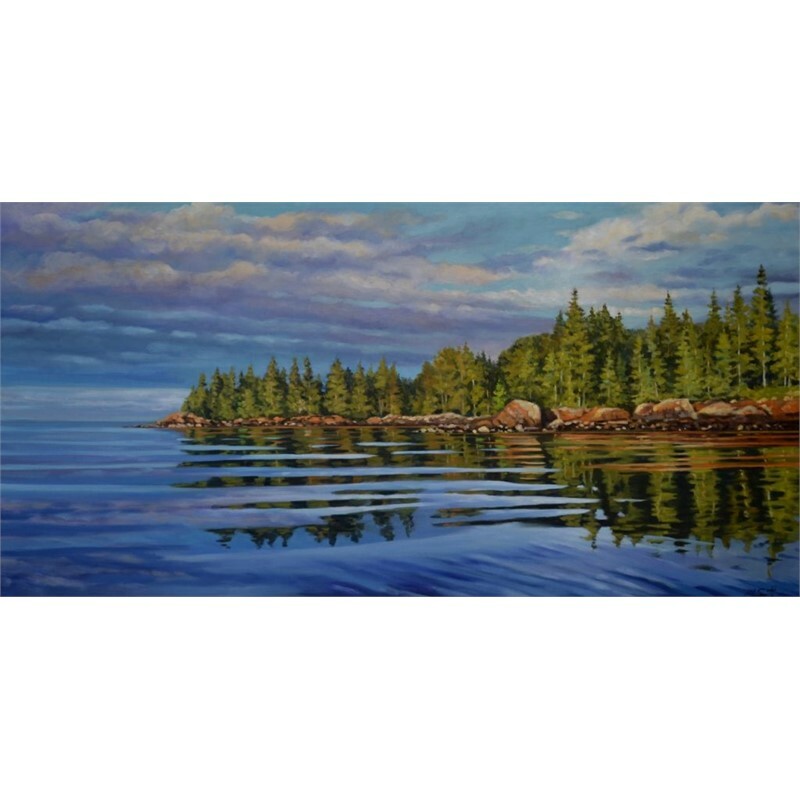 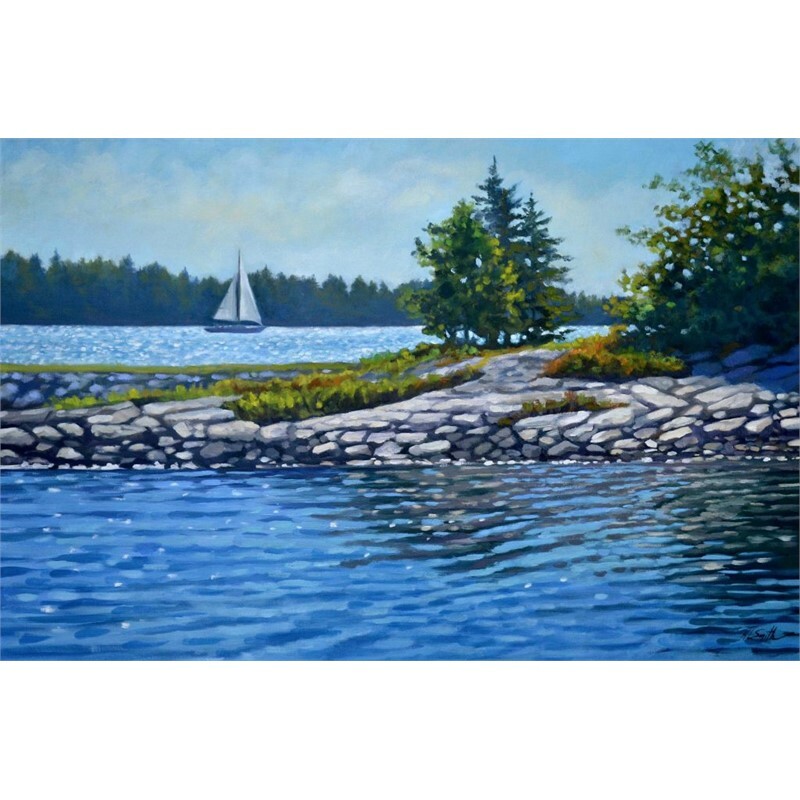 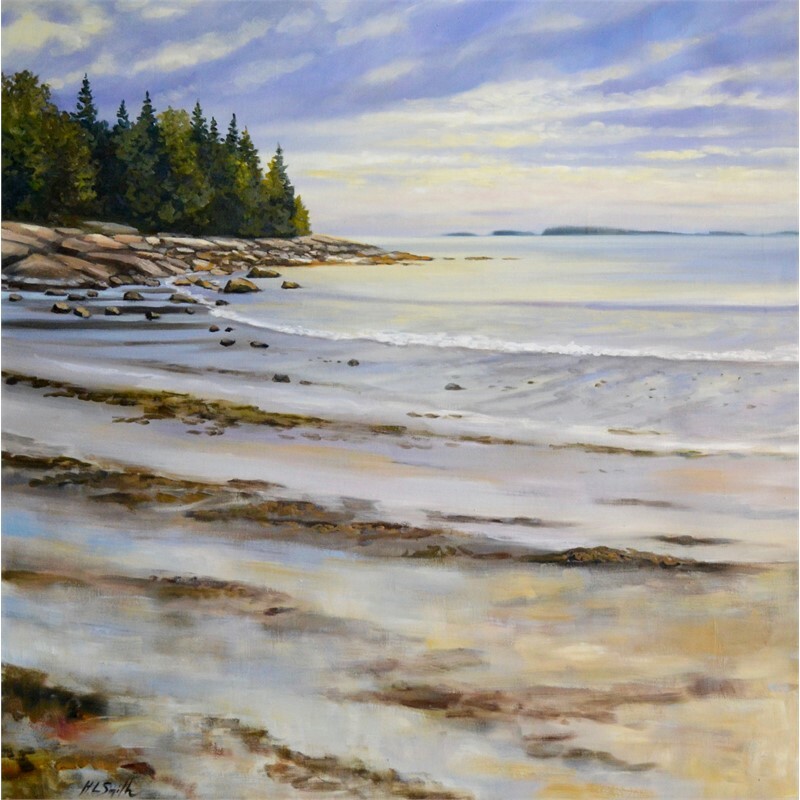 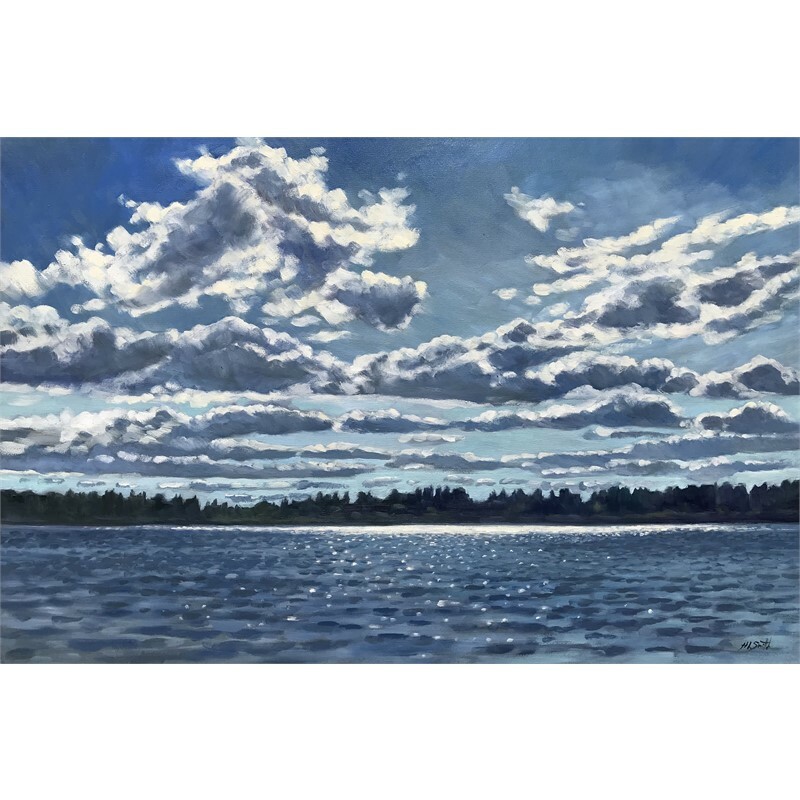 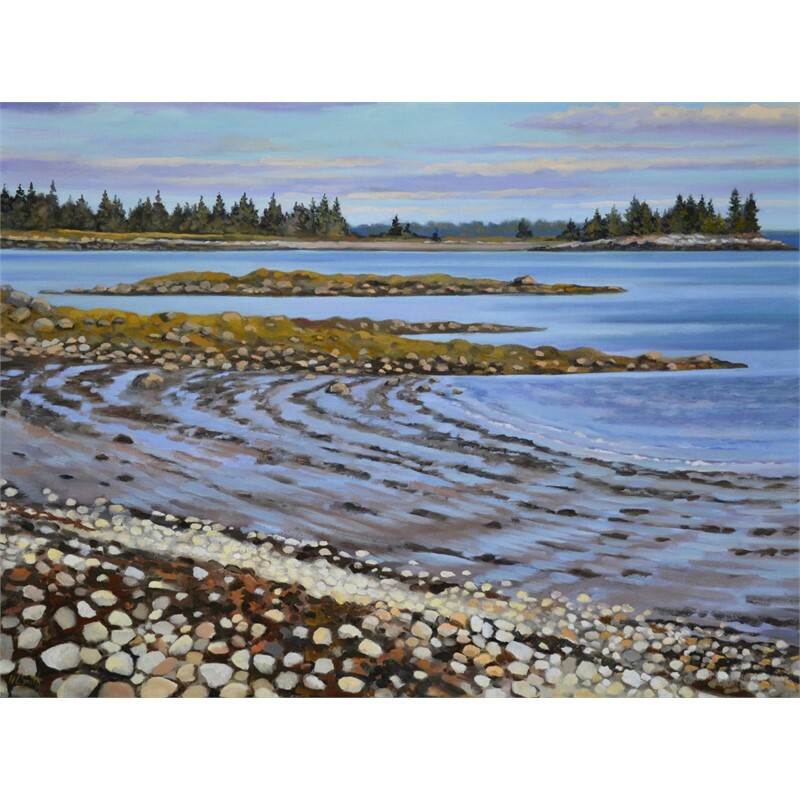 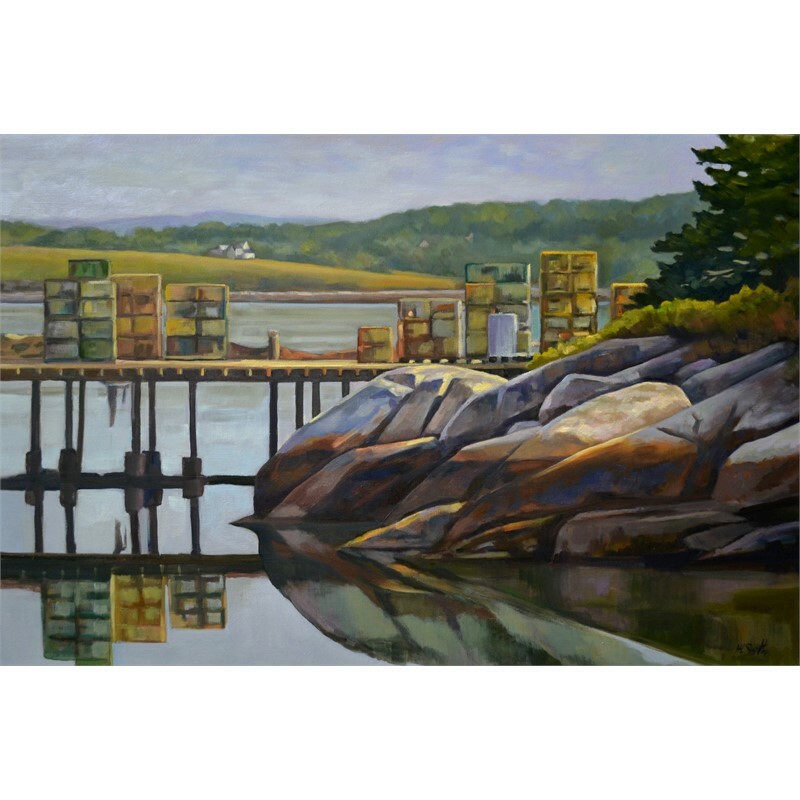 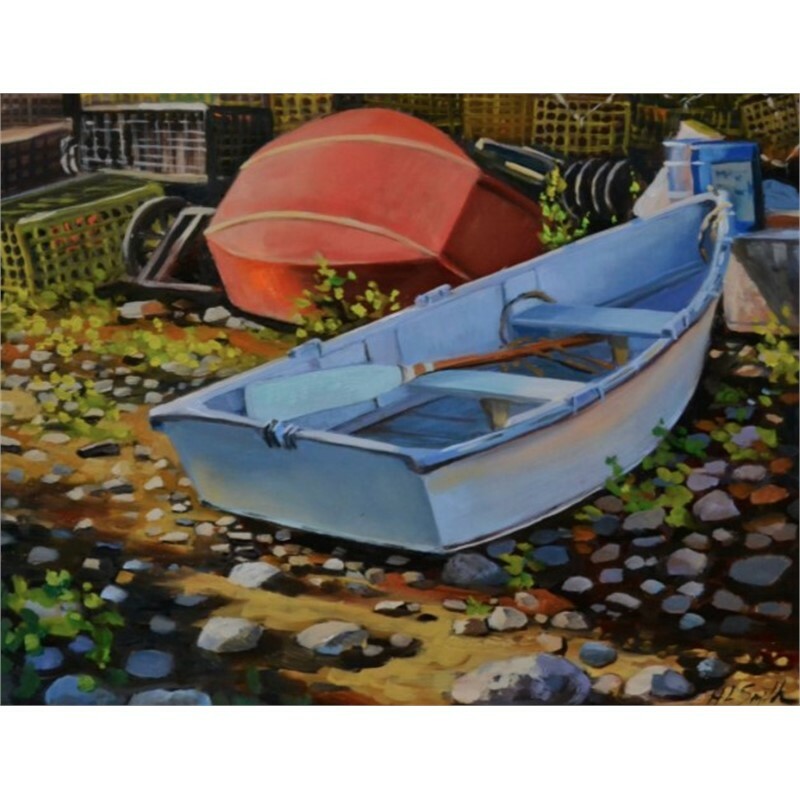 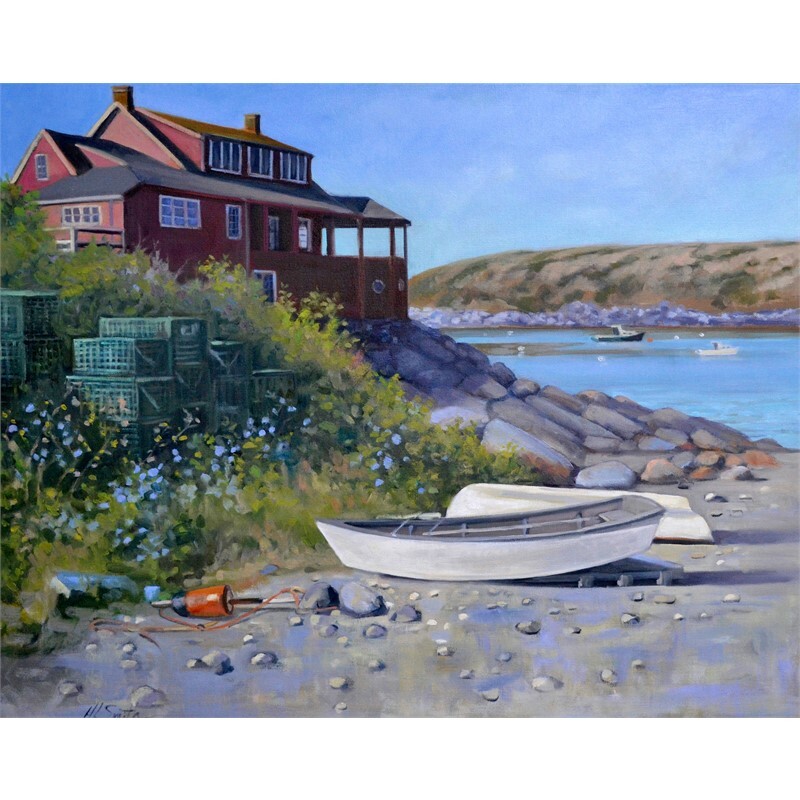 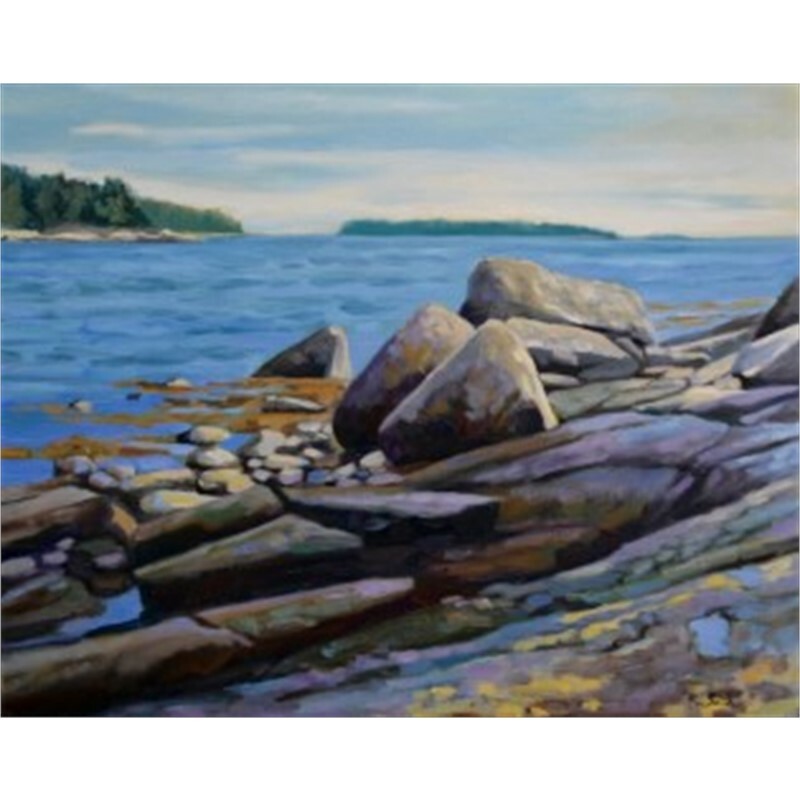 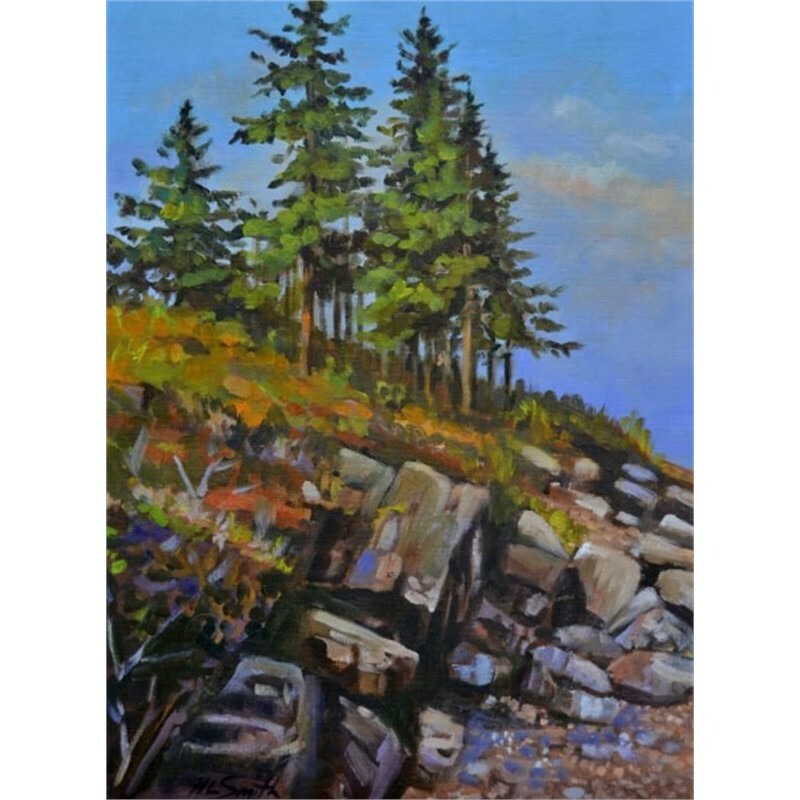 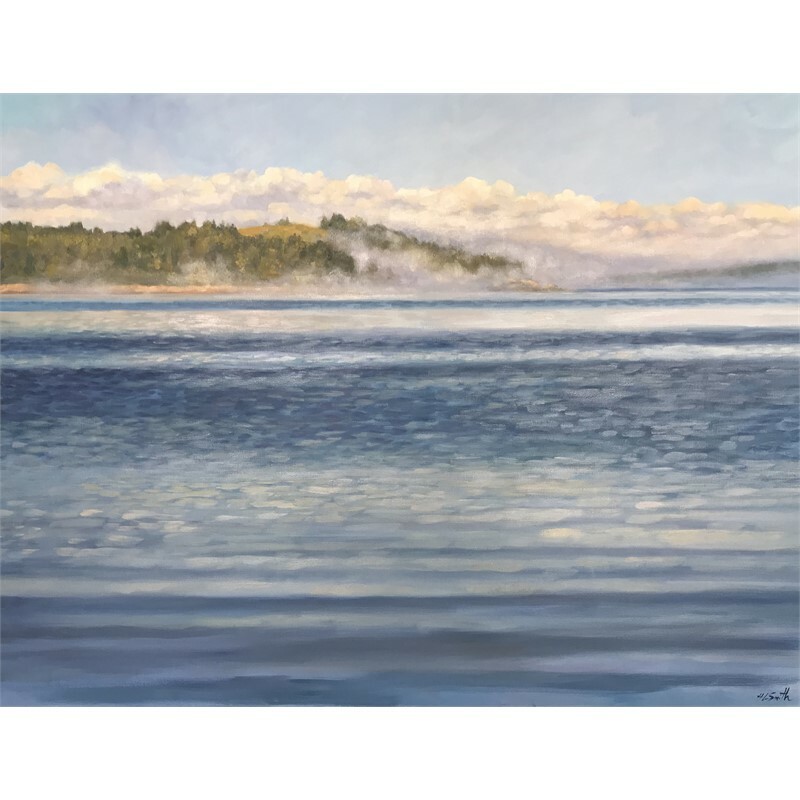 Painting is a natural expression of her creative vision, and she strives to show others the meaningful, healing tranquility that the Maine landscape offers through colors, shapes, and compositional relationships. 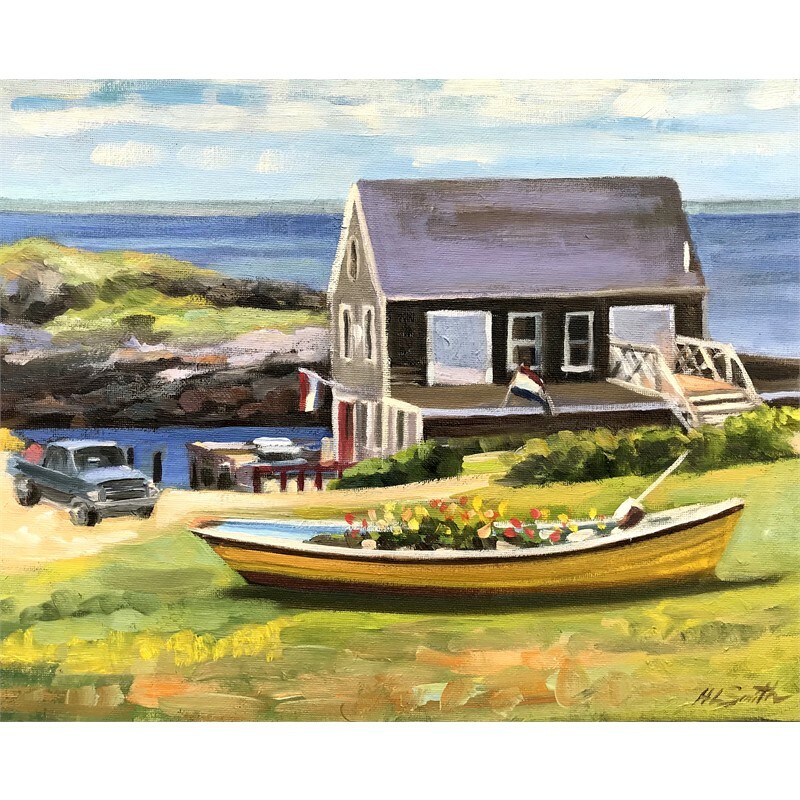 She frequently takes the opportunity to experience her locale by traveling to remote island destinations or exploring scenic areas around her home. 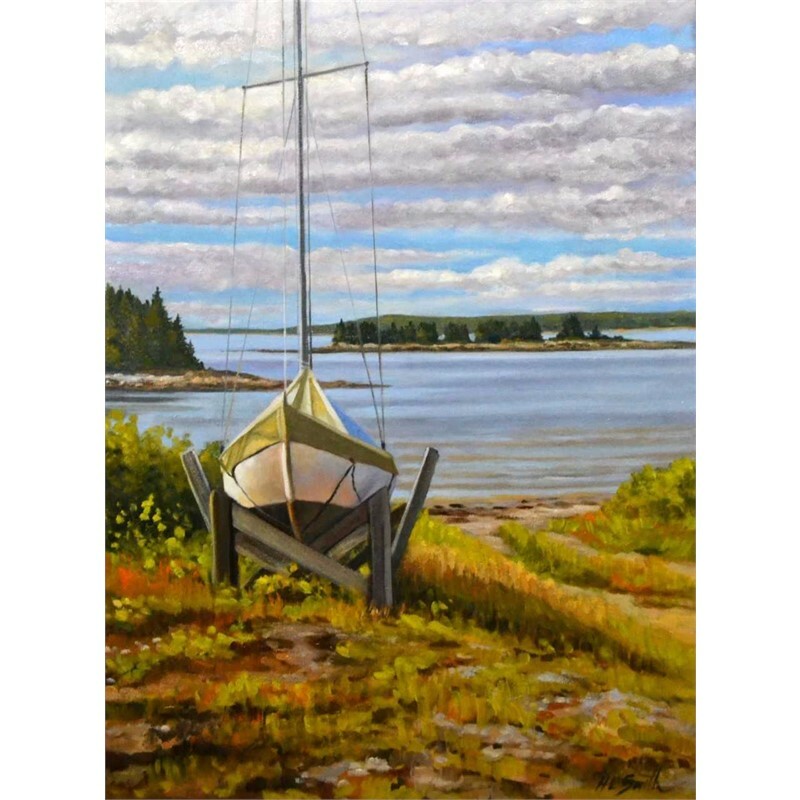 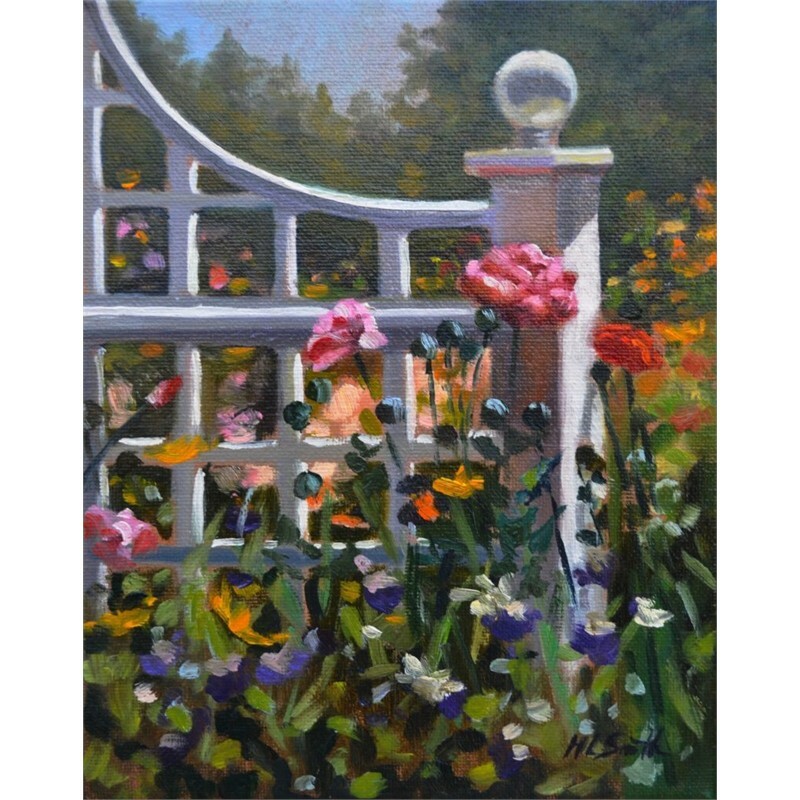 Plein air painting is a meditative process for Holly, setting up her easel she begins by scanning possible subject matter often looking for interesting compositions and colors. 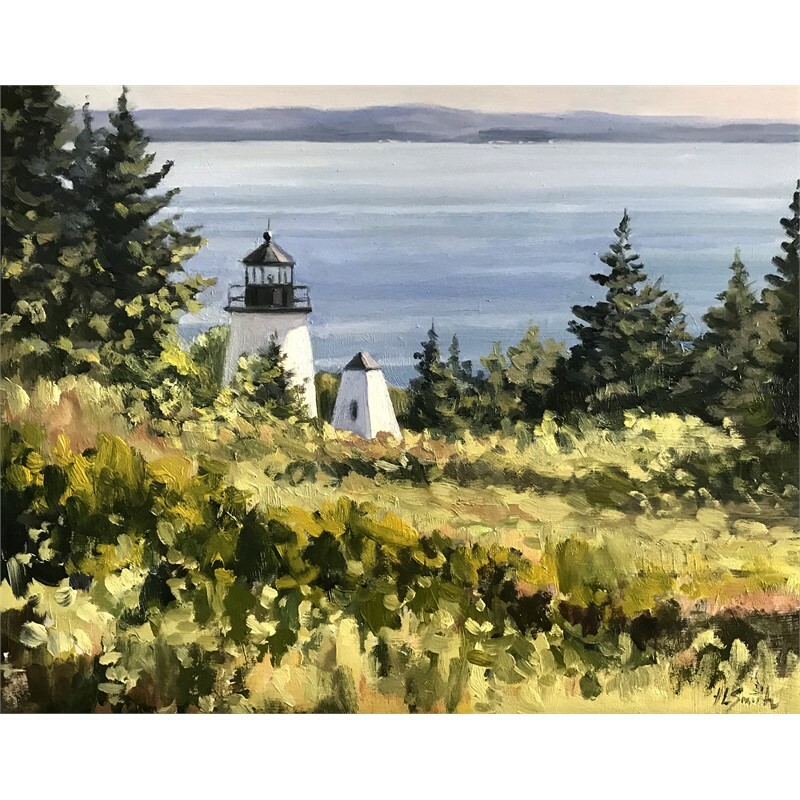 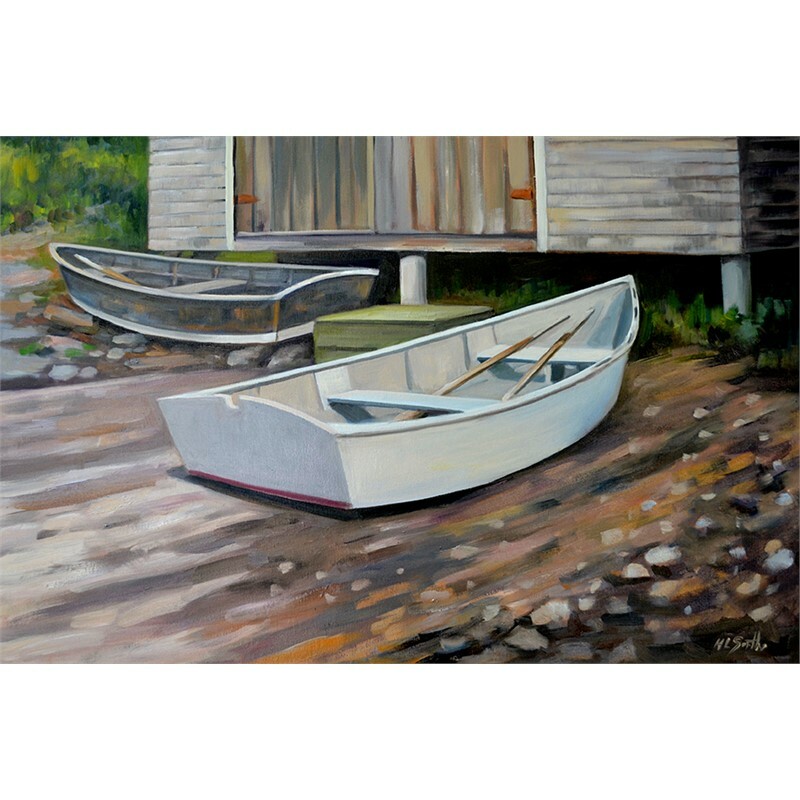 These plein air painting interpretations of these experiences offer glimpses of Maine’s magnificence, heritage and romance, giving Holly’s then studio paintings a truly authentic quality. 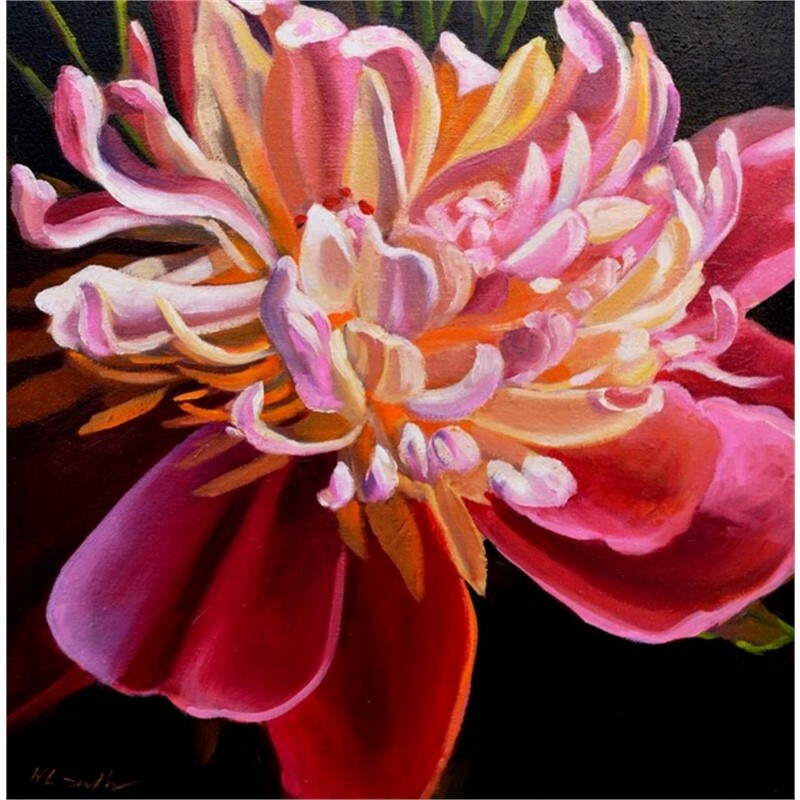 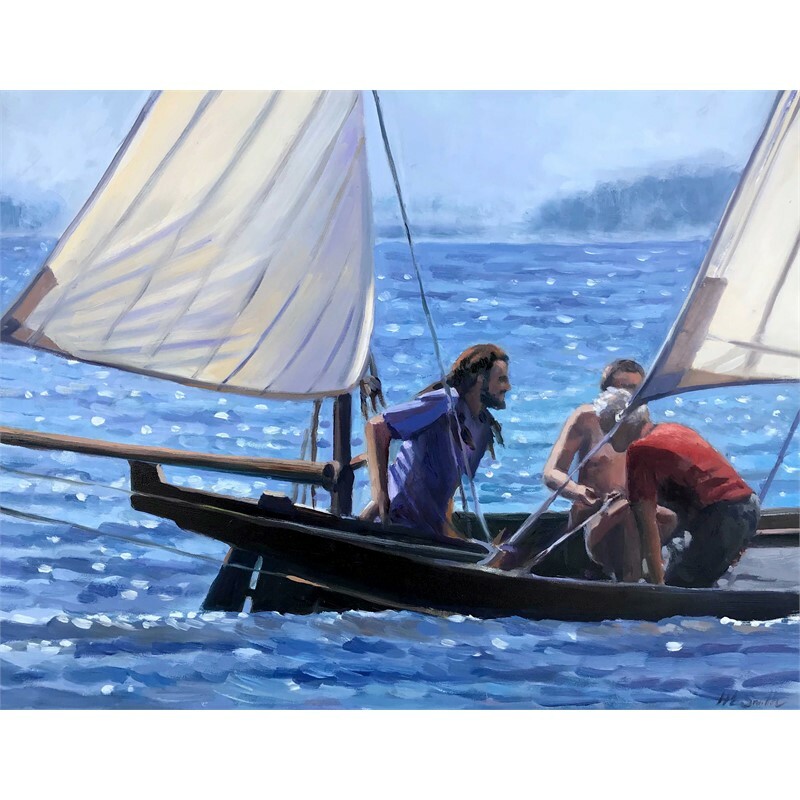 In addition to a lifetime devoted to expressing herself through art, Holly is a retired art educator with over 31 years’ of experience and continues to teach adult education classes in painting. 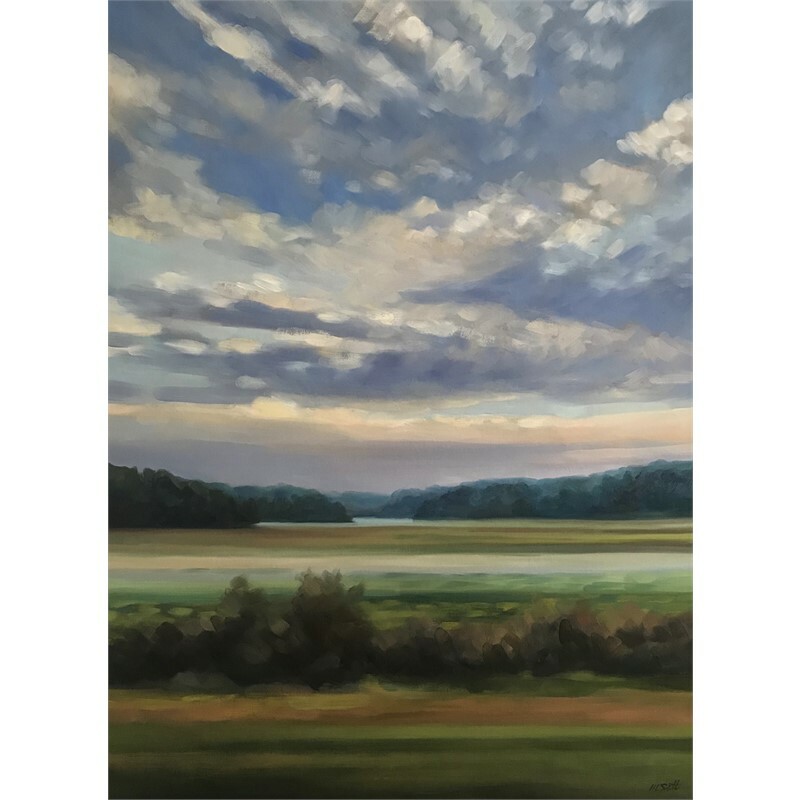 Holly’s teaching philosophy is to encourage and inspire her students to view their environs in new and different ways, and to expand their perceptions of who they are and what they are capable of when becoming a creative artist. 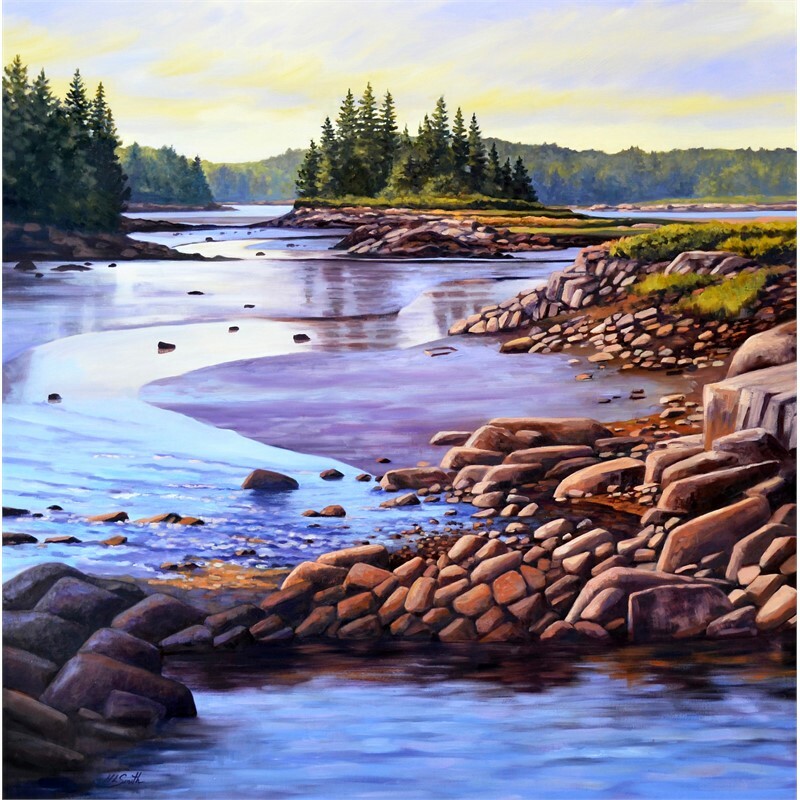 Holly has a Bachelor of Science in Art Education from the University of Southern Maine. 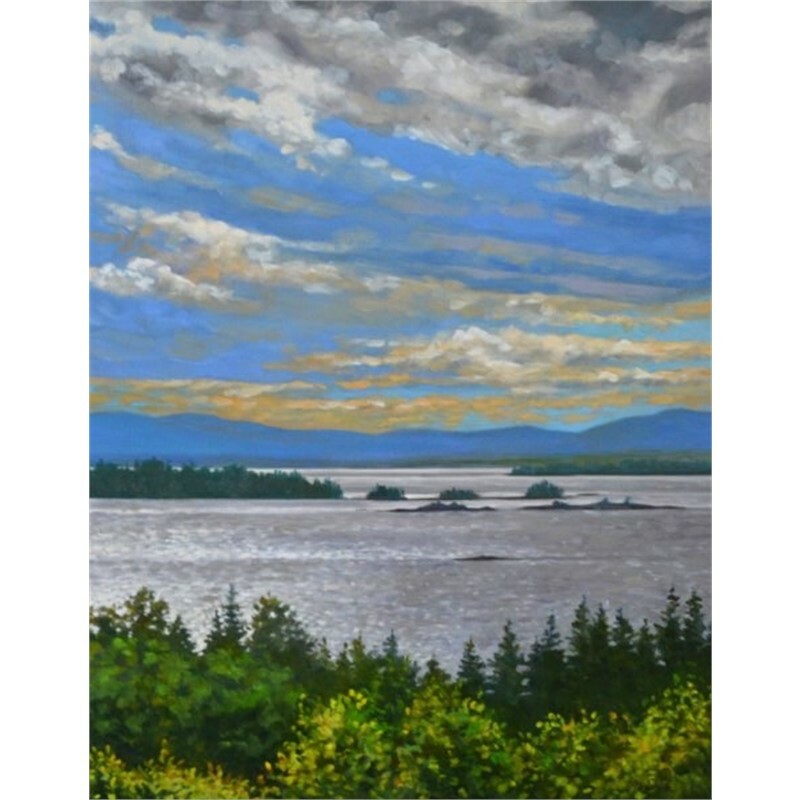 Her artwork is in numerous public and private collections, including the First National Bancorp and The Samoset Resort. 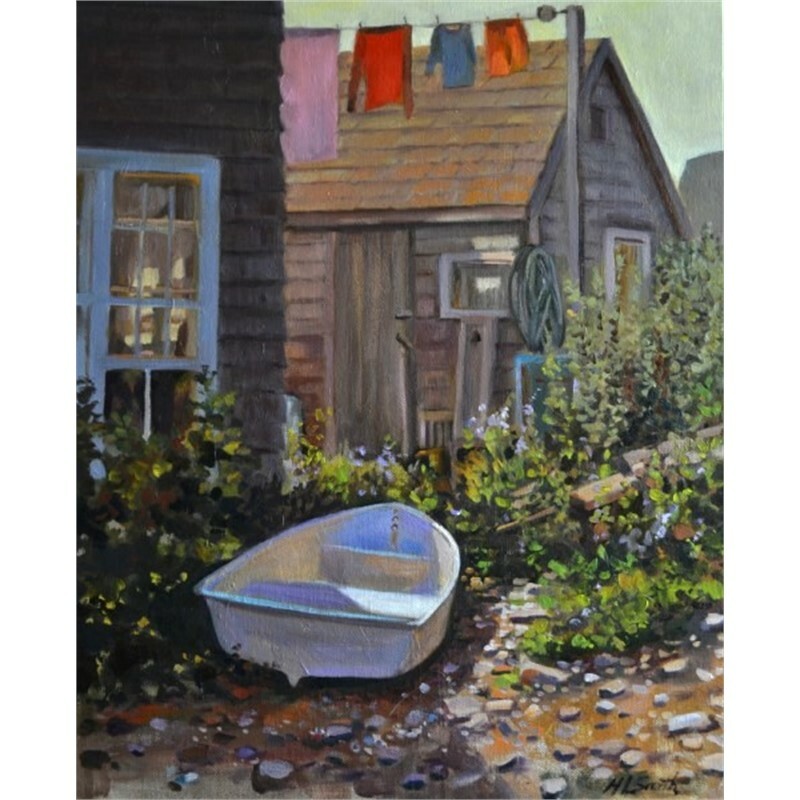 She has exhibited in numerous shows and galleries through the years. 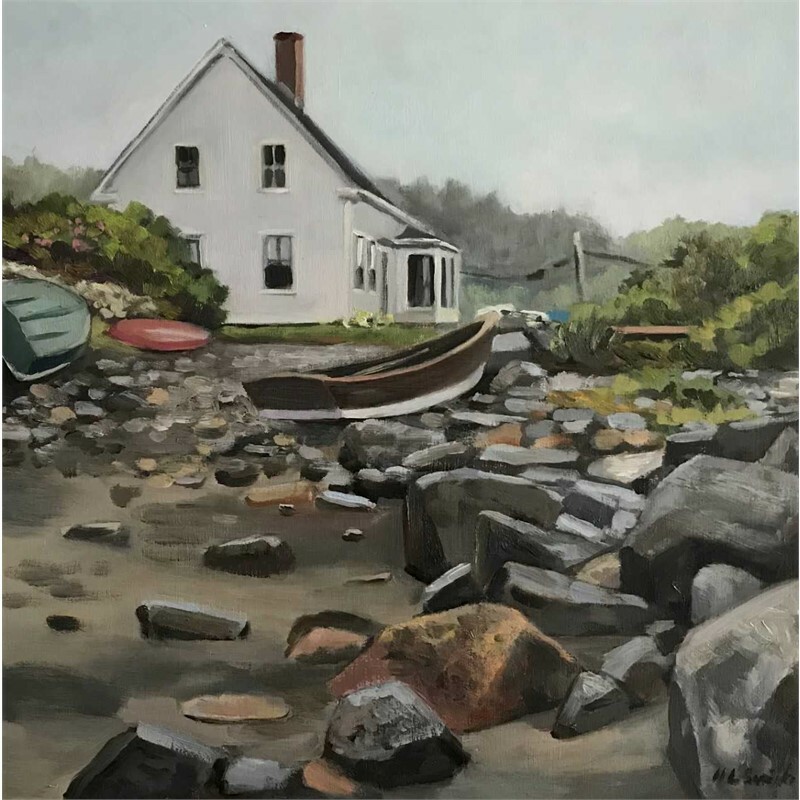 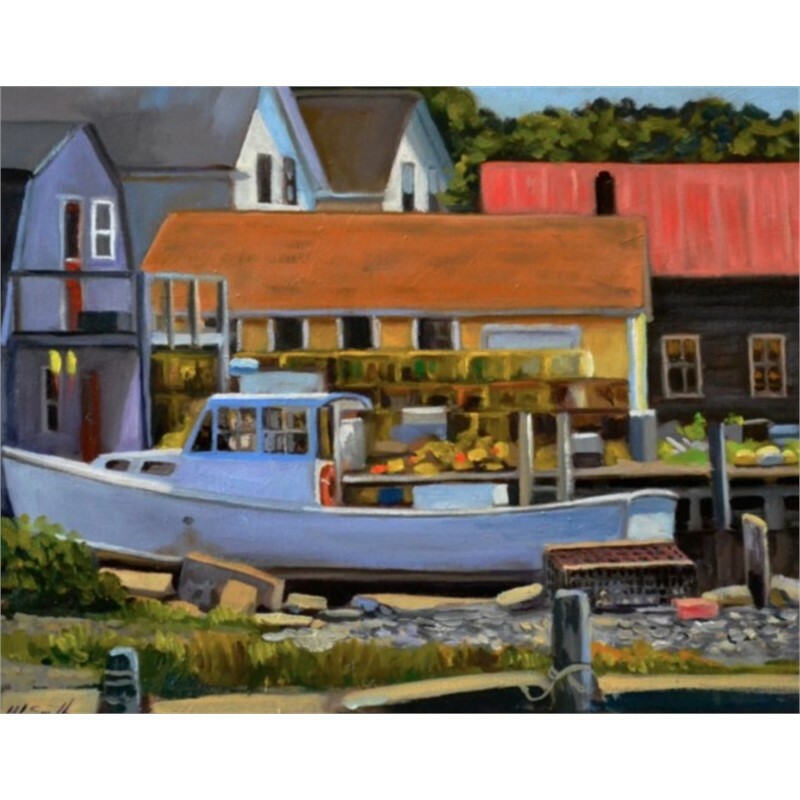 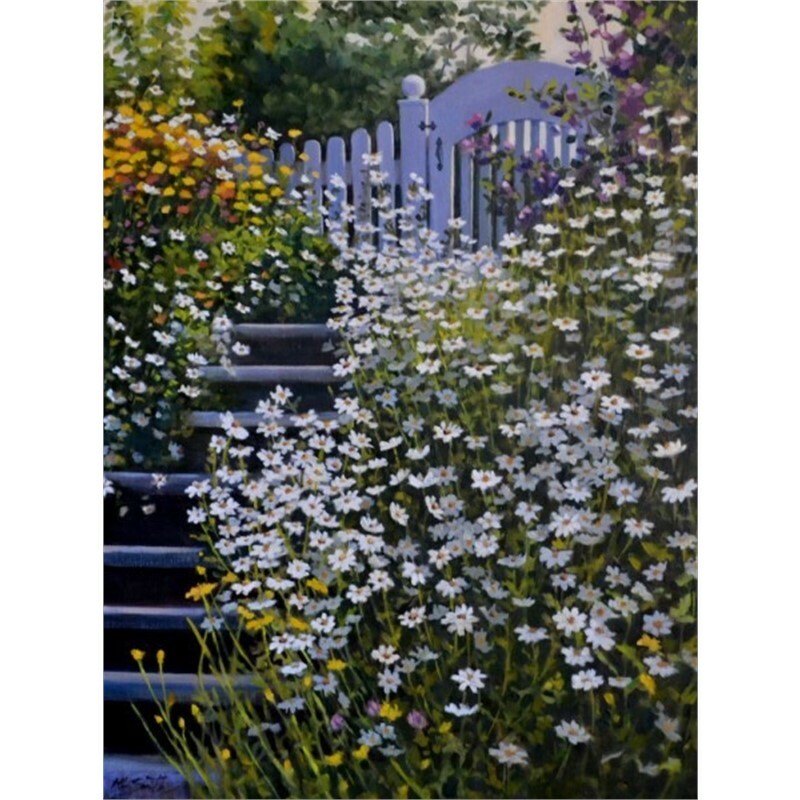 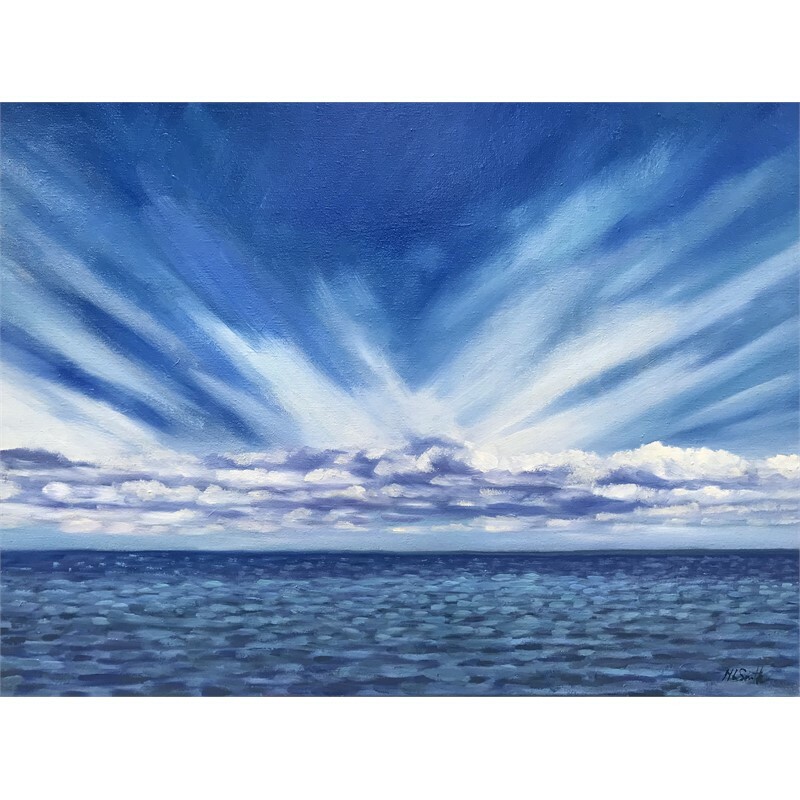 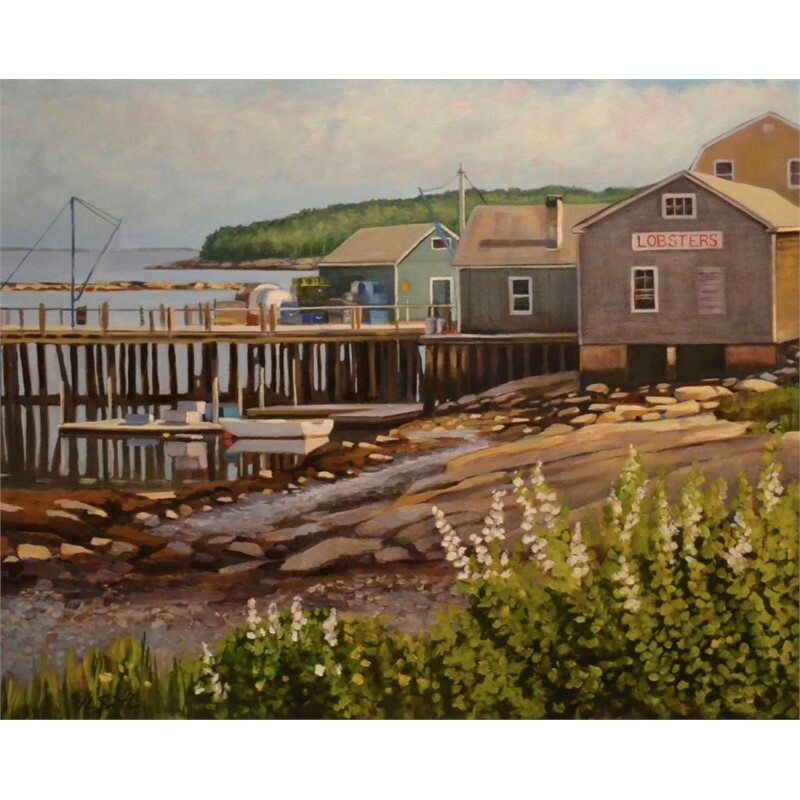 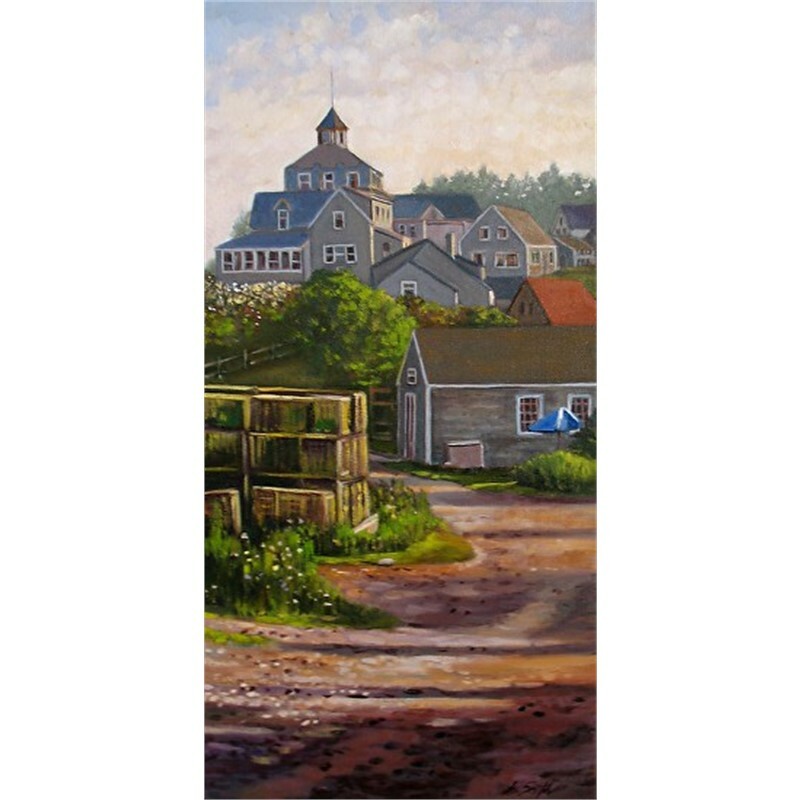 Currently her artwork is available at The Portland Art Gallery, Lincolnville Fine Arts Gallery, River Arts Gallery and The Bonnie Farmer Assemblage Art Gallery or by contacting her directly to visit her studio at her home in Rockport, Maine. 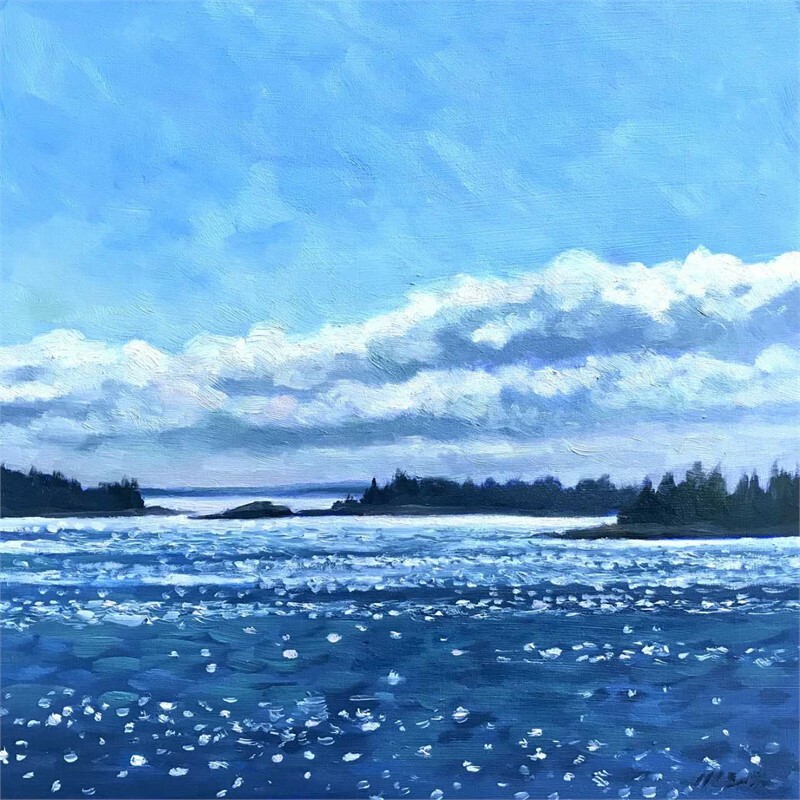 As a Maine native, Holly has always found inspiration in the ever–changing beauty and moods of her surroundings. 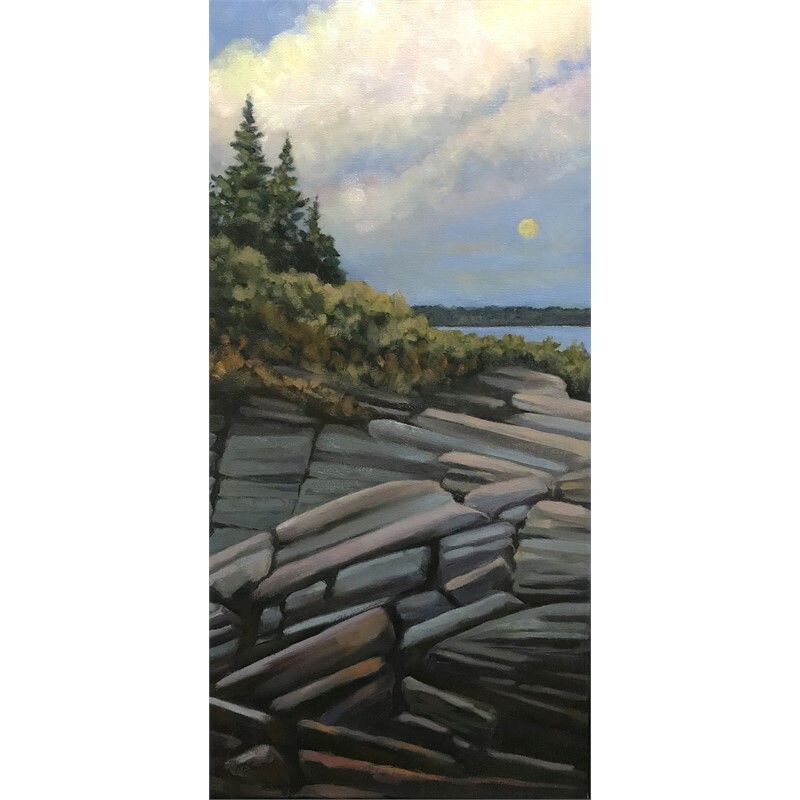 Painting is a natural expression of her creative vision, and she strives to show others the meaningful, healing tranquility that the Maine landscape offers through colors, shapes, and compositional relationships. 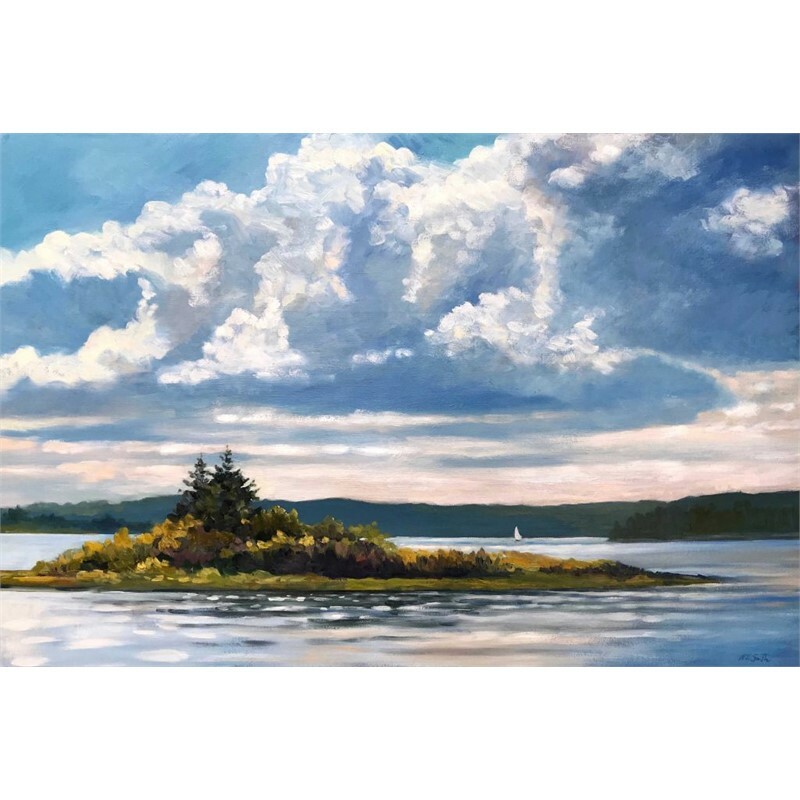 She frequently takes the opportunity to experience her locale by traveling to remote island destinations or exploring scenic areas around her home. 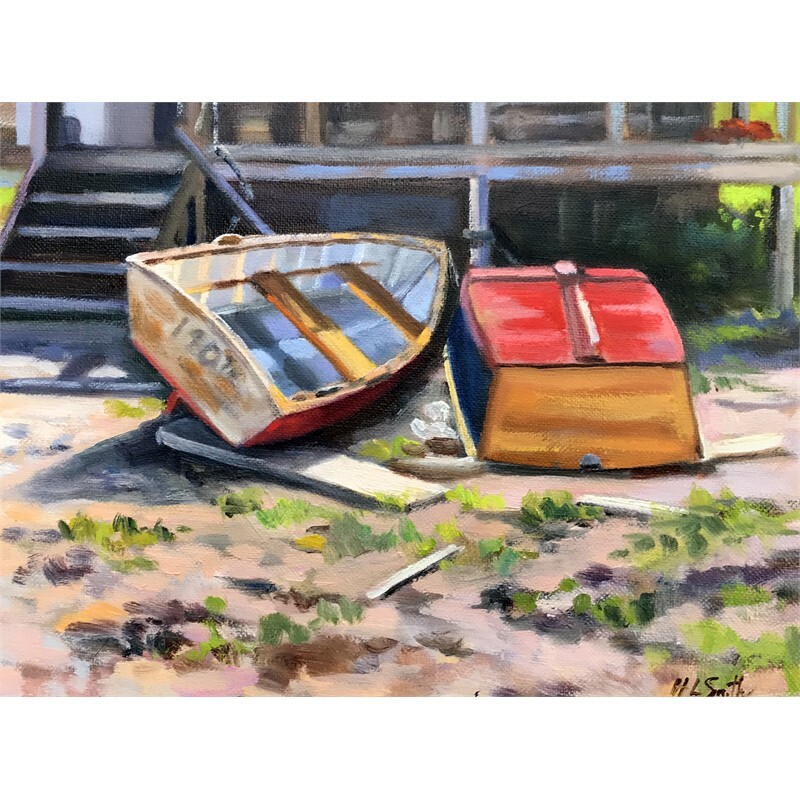 Plein air painting is a meditative process for Holly, setting up her easel she begins by scanning possible subject matter often looking for interesting compositions and colors. 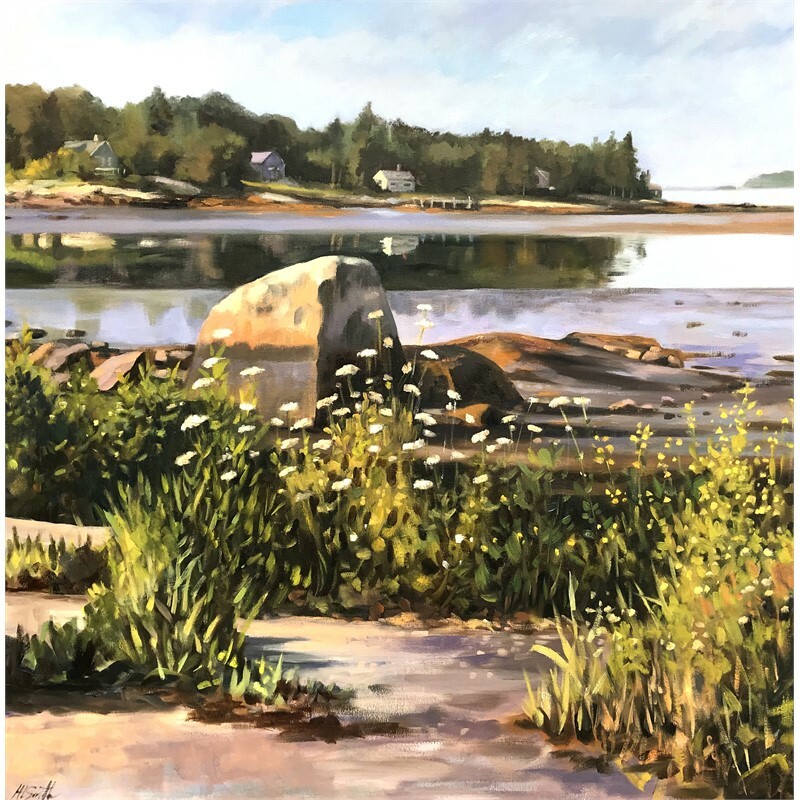 These plein air painting interpretations of these experiences offer glimpses of Maine’s magnificence, heritage and romance, giving Holly’s then studio paintings a truly authentic quality. 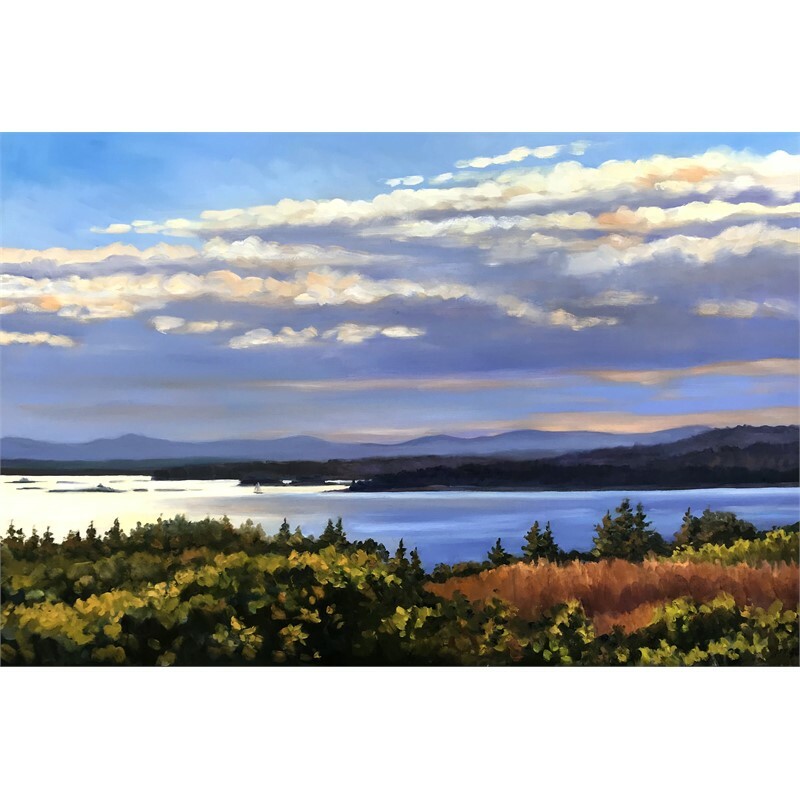 In addition to a lifetime devoted to expressing herself through art, Holly is a retired art educator with over 31 years’ of experience and continues to teach adult education classes in painting. 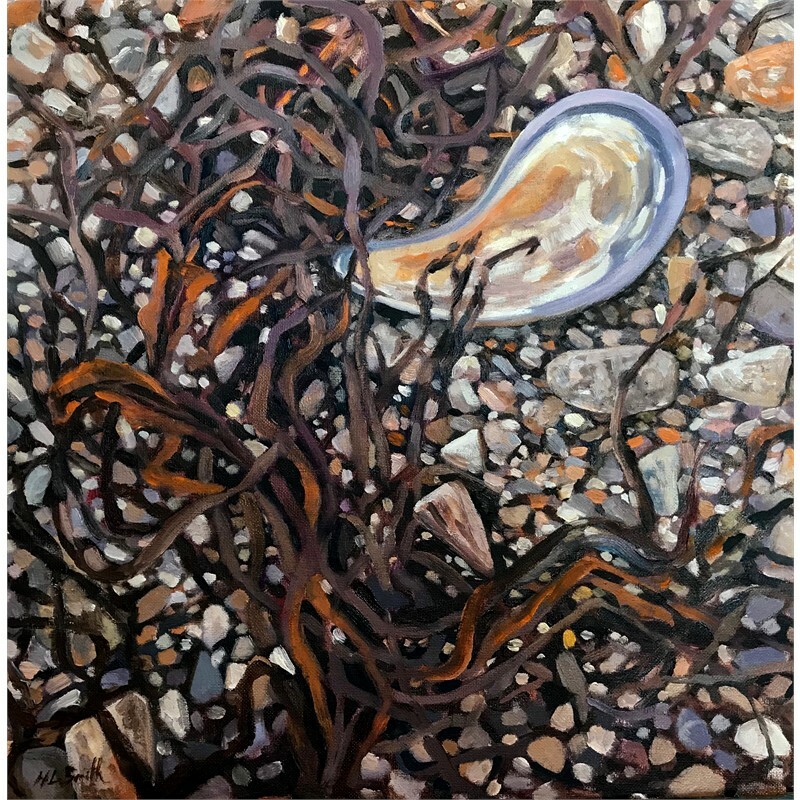 Holly’s teaching philosophy is to encourage and inspire her students to view their environs in new and different ways, and to expand their perceptions of who they are and what they are capable of when becoming a creative artist. 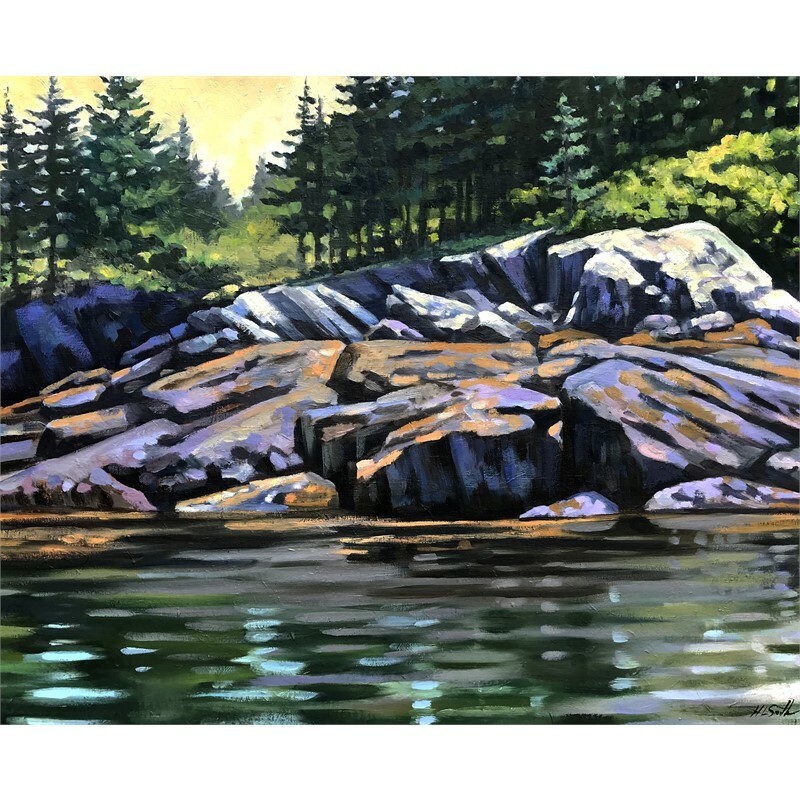 Holly has a Bachelor of Science in Art Education from the University of Southern Maine. 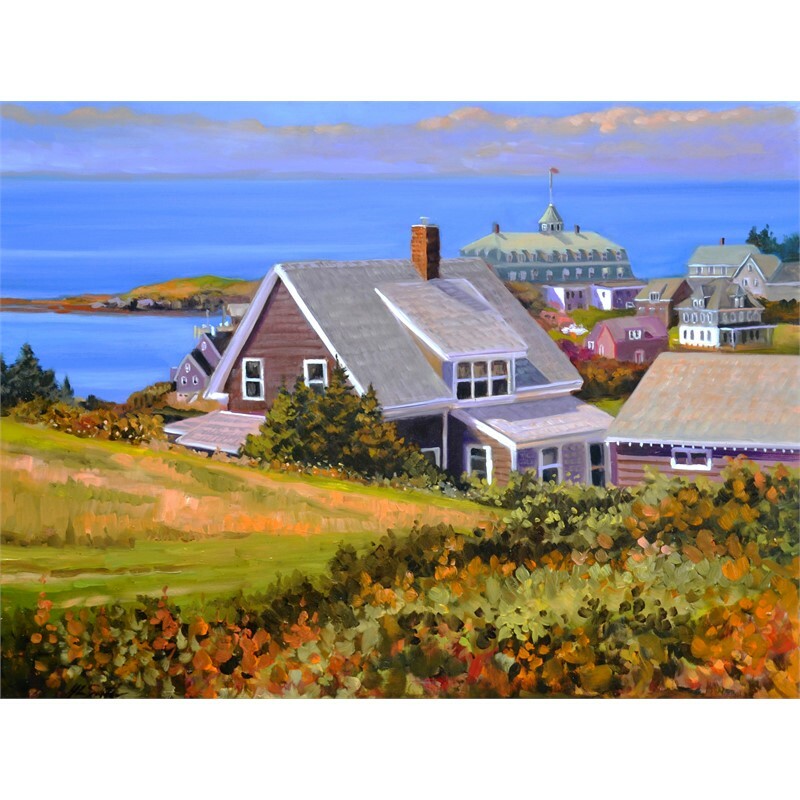 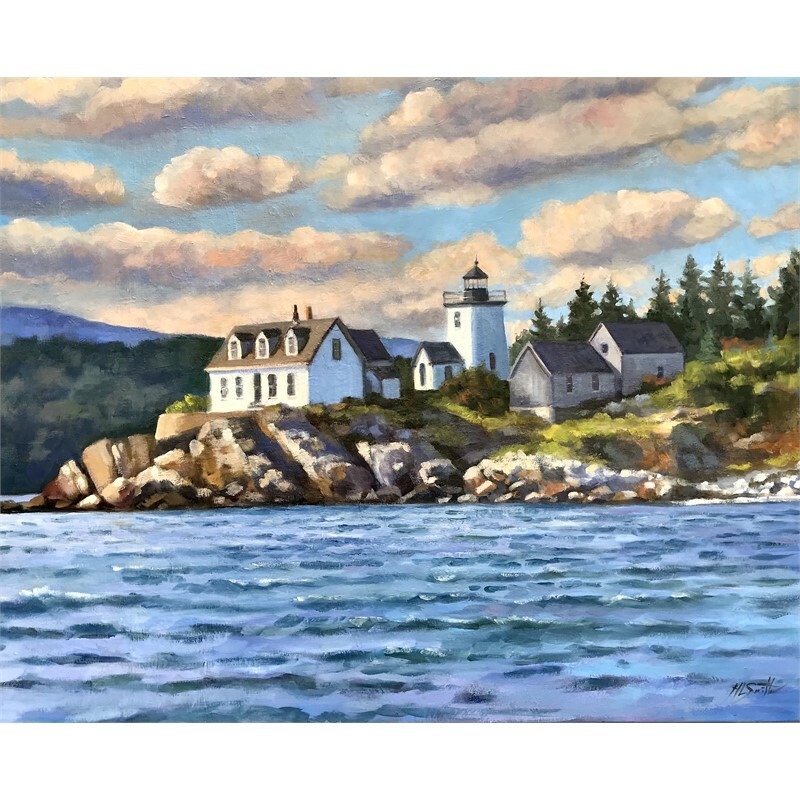 Her artwork is in numerous public and private collections, including the First National Bancorp and The Samoset Resort. 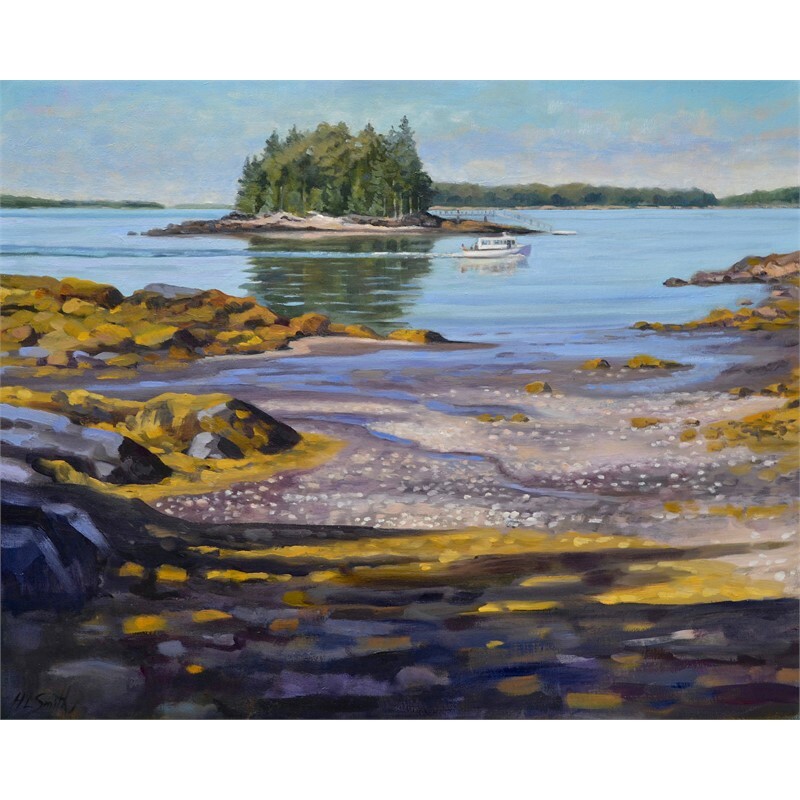 She has exhibited in numerous shows and galleries through the years. 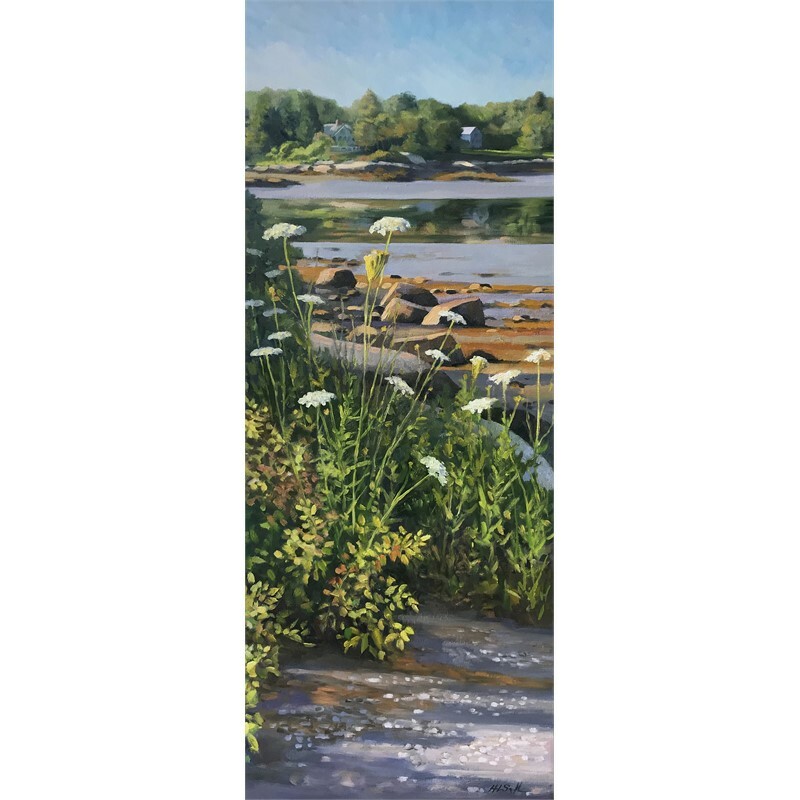 Currently her artwork is available at The Portland Art Gallery, Lincolnville Fine Arts Gallery, River Arts Gallery and The Bonnie Farmer Assemblage Art Gallery or by contacting her directly to visit her studio at her home in Rockport, Maine.